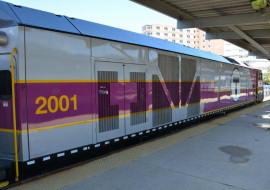 Each member organization of the coalition agrees to invest a minimum of $1,000 each year for the next five years toward funding an advocacy and communications campaign to promote the commuter rail. Members also agree to add their organization’s name to the coalition’s public roster of support and to assist with any grassroots advocacy or public relations efforts that may be necessary. Please click on the file below then print and complete the membership form. Thank you.